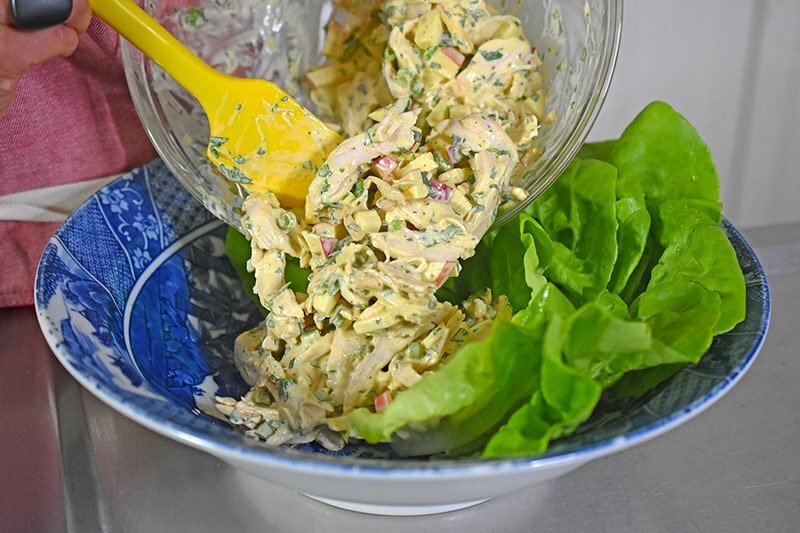 Whipping up some chicken salad? Don’t you dare make a bland-tasting version tossed with plain old mayonnaise. 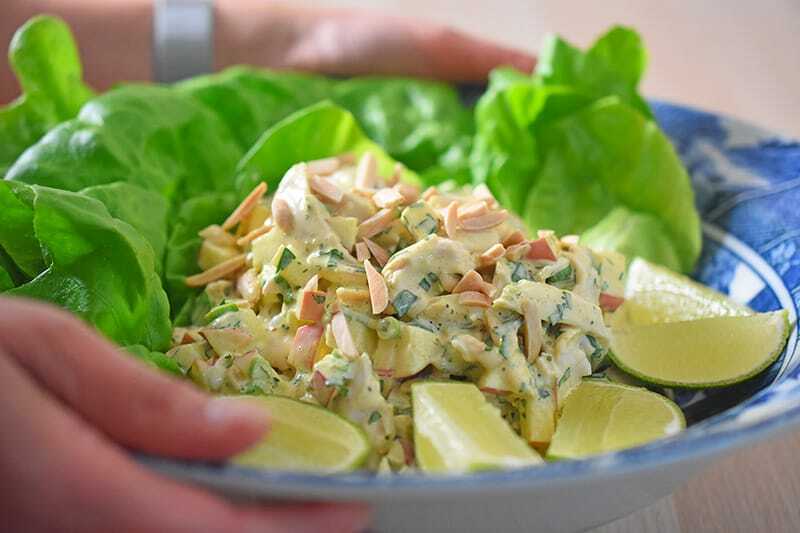 Instead, punch it up with smoky, aromatic curry powder, crisp apples, fresh herbs, and toasted almonds. With just a few pantry items, you can radically transform a ho-hum dish into an elegant and flavorful meal. Wanna cut to the chase and watch a short cooking video on how to make it? 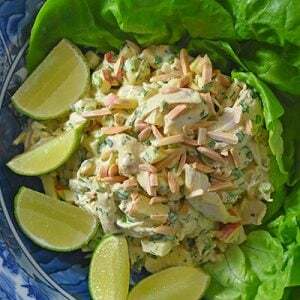 Although this South Asian-inspired chicken salad is making its debut on my blog today, it’s been one of my favorites for years. In fact, this recipe first popped up in our iPad app almost three years ago, before making its second appearance in our first cookbook. When I’ve had a long day, I just throw this salad together and serve it on a giant bed of organic lettuce mix. Hosting a party? 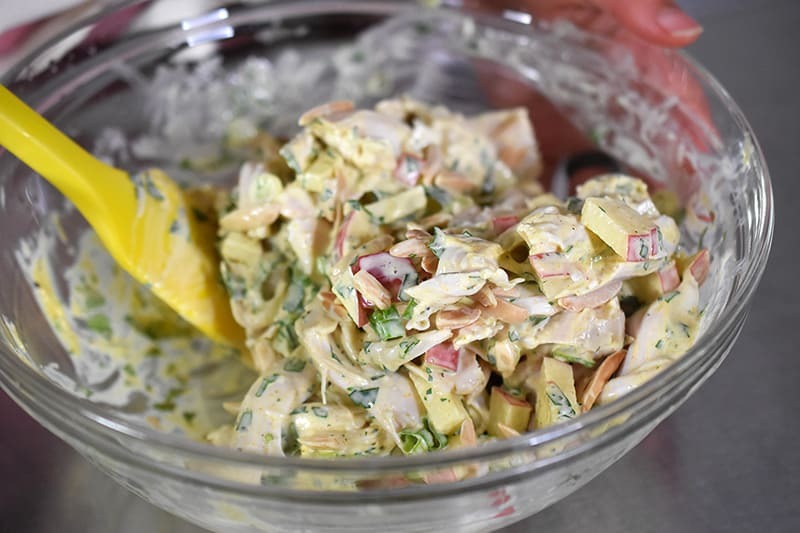 Spoon it into cucumber cups or on endive spears for a fancy hors d’oeuvre. No one’ll guess how little time it took! So grab your cooked chicken, your Paleo Mayonnaise, and the rest of the ingredients, and let’s do this! First, make the curried mayonnaise. 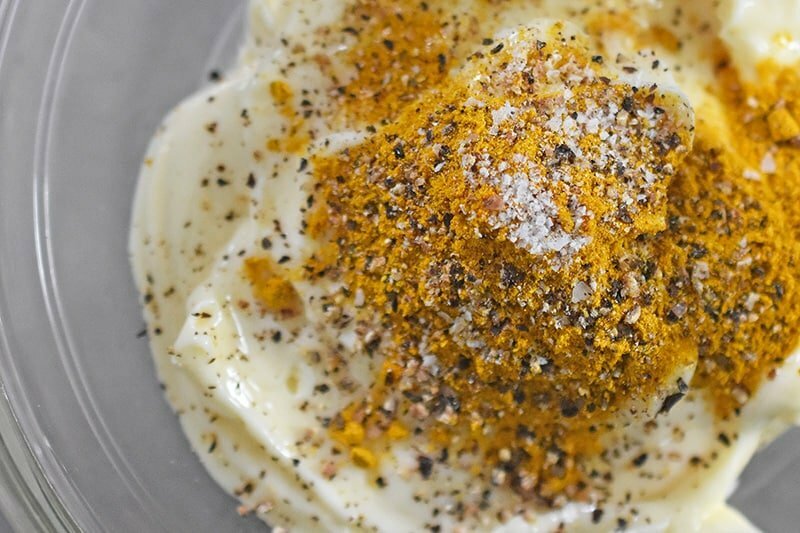 In a small bowl, combine the mayonnaise, curry powder, salt, and pepper to taste. Yes, folks—whenever possible, it’s important to taste your food so you can adjust the seasoning as needed. 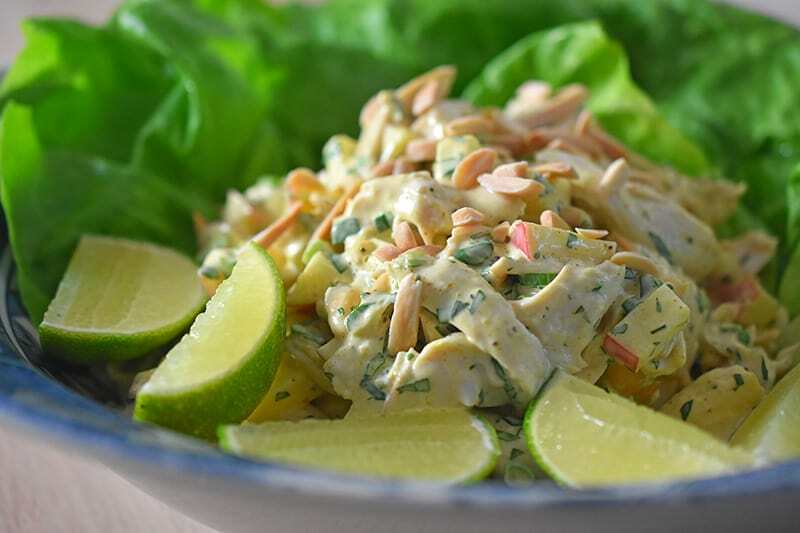 In a separate bowl, toss the apple chunks with the lime juice. This will ensure that your apples won’t oxidize into brown, splotchy cubes—and the acid adds a nice zing to the salad, too. 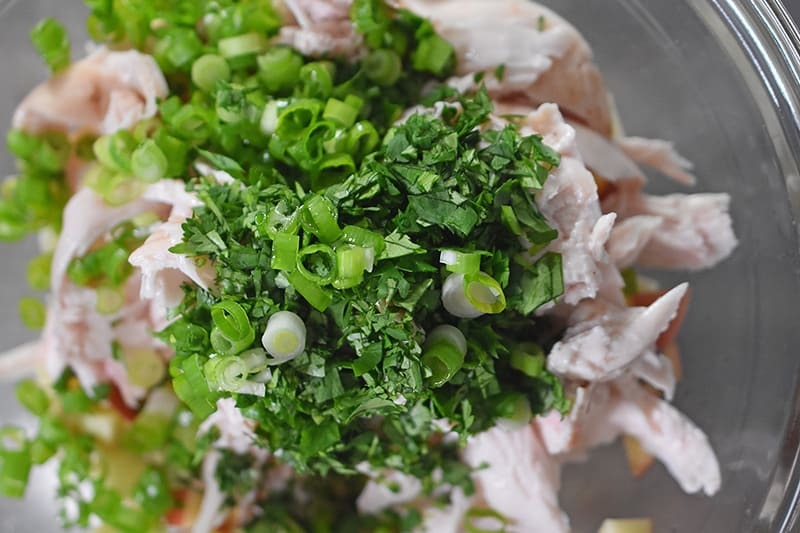 Shred the chicken by hand, and toss it into the bowl with the acidulated apples. Top with toasted almond slivers. Done! How easy was that? If desired, you can serve with lime slices for a bit of extra zing! First, make the curried mayonnaise. 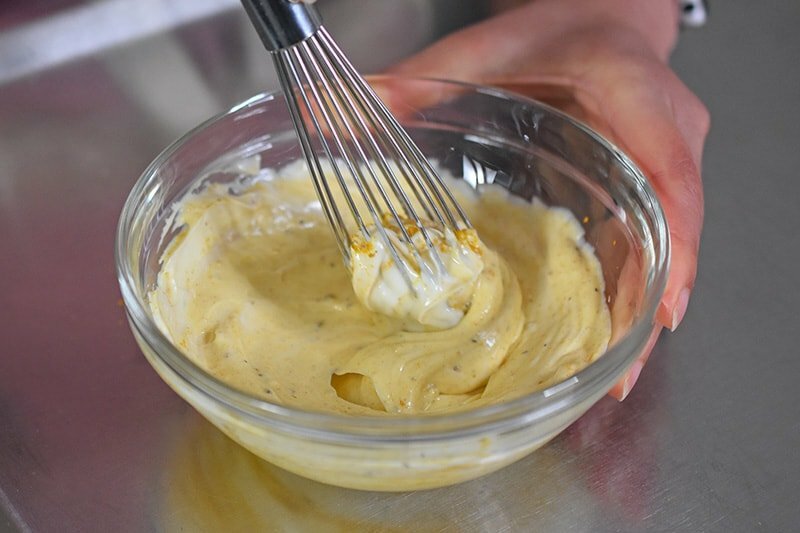 In a small bowl, combine the mayonnaise, curry powder, salt, and pepper to taste. 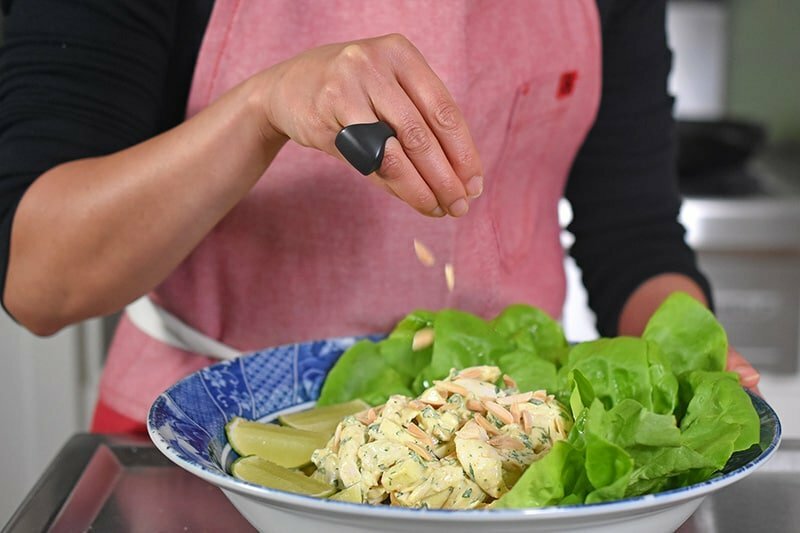 Yes, folks—whenever possible, it’s important to taste your food so you can adjust the seasoning as needed. 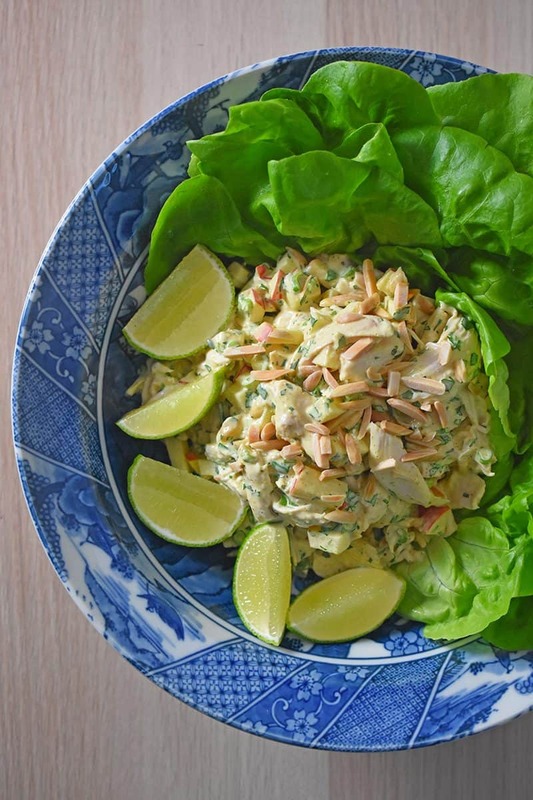 In a separate bowl, toss the apple chunks with the lime juice. This will ensure that your apples won’t oxidize into brown, splotchy cubes—and the acid adds a nice zing to the salad, too. 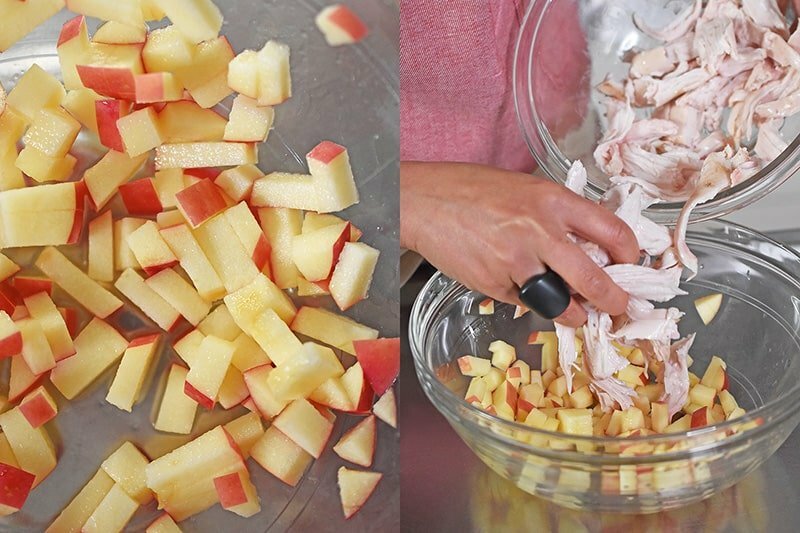 Shred the chicken by hand, and toss it into the bowl with the acidulated apples. 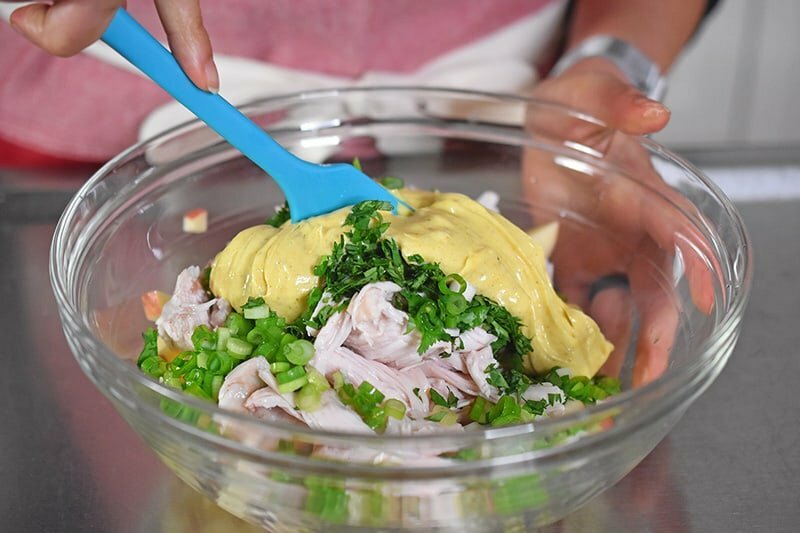 Add the cilantro, scallions, and curried mayonnaise, and mix well. Top with toasted almond slivers and serve. The salad will keep in the fridge for up to 3 days.